As many of our followers know, on August 8th we found an abandoned box of kittens and their mom on our doorstep. As we are not a rescue, we couldn’t keep them but we were lucky enough to find amazing sponsors and a foster home who covered their vet bills so that they could eventually return to us as residents and find their furrever homes. Shortly after, we found out that the mama kitty we named, Mabel [short for the acronym: Mothers Always Bring Enough Love], was already pregnant again from before they were dropped off… So on October 9th Mabel gave birth to SEVEN kittens! The owners of Daily Mews have been kindly fostering her and the babies at their home since, but this is not a permanent solution. 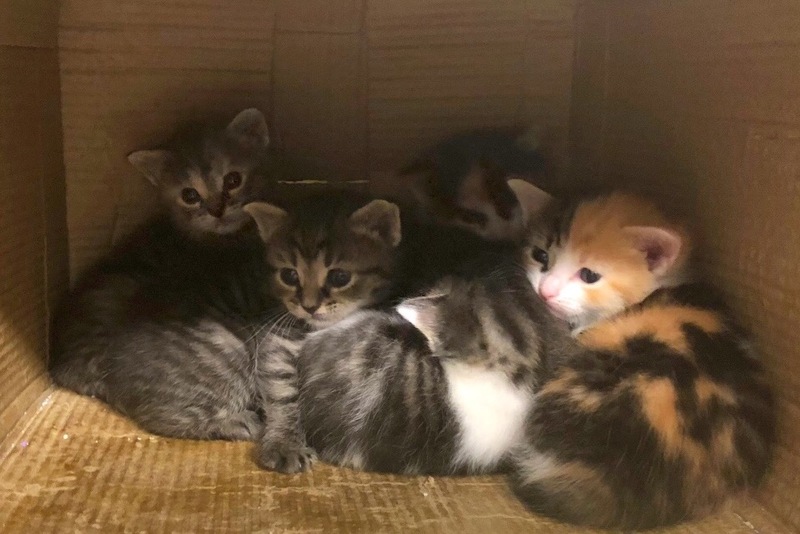 Our goal is to raise enough money to get every kitten completely vetted and have them come to Daily Mews when they are healthy and the appropriate age, so they find homes like the previous momma Mabel litter. Today, we are reaching out to all of you, in hopes of raising enough money to make this happen. 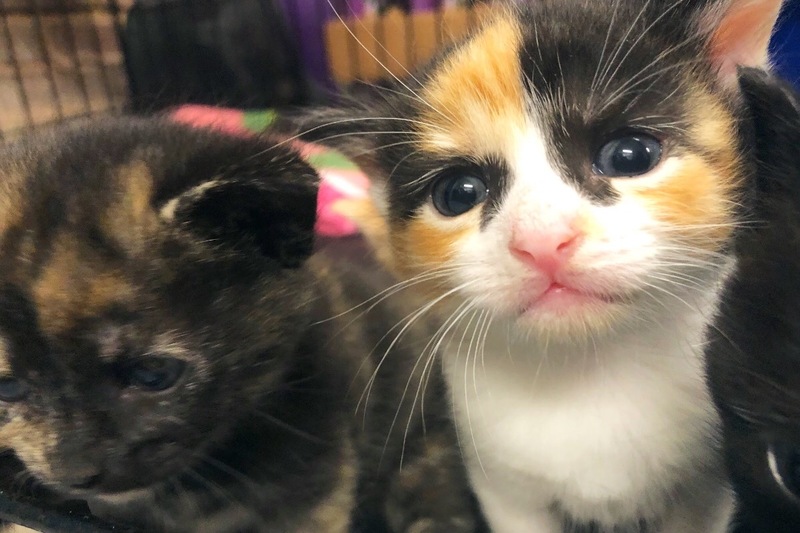 Every dollar will go a long way and every ‘share’ will get us one step closer to giving these kittens a bright future. As a new business, and also not a vet or rescue, we alone do not have the needed funds to sponsor all of the medical costs and care needs for newborns, especially so many at once. We would also like to take this moment to encourage everyone to please spay/neuter their cats to prevent unfortunate situations like this one. As sweet and adorable as kittens are, under 8 week old kittens are one of the most euthanized populations in the United States. We can help reduce that by taking the easy step of spaying/neutering our own cats, and contacting a local TNR program whenever you see strays/ferals. By reducing the potential of unwanted future cat pregnancies through spay, we are saving the lives of current kitties in shelters (and on the streets) by keeping the needed space and resources available. In Charlotte, we are lucky enough to have access to various low-cost spay/neuter clinics and TNR programs that you can contact. Thank you to everyone for helping — no amount is too small.